Addiction has become an illness as people find it difficult to refrain themselves from various psychoactive substances such as tobacco, drugs, prescription medications and alcohol. Alcohol dependence or alcoholism is referred to as obsessive compulsive drinking even if the person faces health complications. Alcohol addicts may be physically and mentally addicted to alcohol. Alcohol can lead to liver damage, fatty liver disease and chronic liver inflammation leading to liver cirrhosis. Alcoholism can lead to seizures and delirium due to damage to the brain. Exposure to alcohol damages tooth enamel leading to tooth decay and also gum diseases. Heavy drinking can cause ulcers, heart burn and digestive problems like diarrhea and gas. Drinking alcohol affects your heart. Its complications include heart attack, irregular heartbeat, stroke and heart failure. Alcoholism leads to erectile dysfunction in men and stillbirth, miscarriage and premature delivery in women. Last but not least, alcohol dependence can increase your risk for all types of cancer. Alcoholism affects the impulses of an individual. Persons dependent on alcohol may have impaired functions in the frontal lobes of the brain, Frontal lobes help in controlling signal transmission and damage to it can affect impulse control. Individuals who have the ability to control their impulses can restrict themselves from compulsive alcohol drinking but who are addicted to alcohol may not be able to refrain themselves even though they know that it can affect their health. The exact molecular mechanism behind alcohol dependence remains a mystery. But, now researchers from the Linköping University have identified the mechanism underlying alcoholism. By conducting a study using mice dependent on alcohol, they found that disruption in the production of an enzyme called PRDM2 leads to alcohol dependence. PRDM2 enzyme is responsible for controlling impulses by sending signals in between nerve cells. When this enzyme is produced in reduced quantities due to damage to the frontal lobes of the brain, signals to control impulses are not sent to the nerve cells, leading to disruption of impulse control. So, lack of PRDM2 enzyme leads to compulsive drinking behavior even if the person knows that alcohol is unpleasant and harmful to their health. When the enzyme was disrupted in normal mice, even these mice started to develop an addictive illness due to lack of impulse control. Thus, the authors concluded that under production of PRDM2 enzyme lead to disruption in impulse control, resulting in addictive illness in humans. “We see how a single molecular manipulation gives rise to important characteristics of an addictive illness. Now that we’re beginning to understand what’s happening, we hope we’ll also be able to intervene. 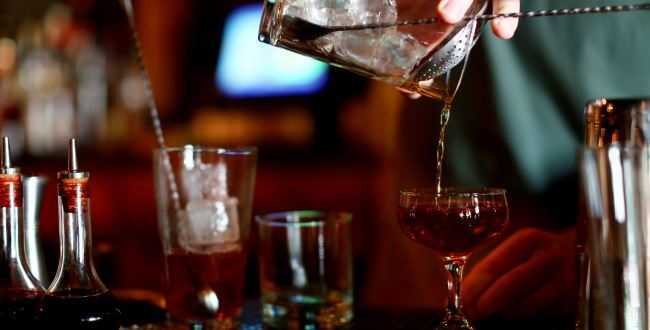 Over the long term, we want to contribute to developing effective medicines, but over the short term the important thing, perhaps, is to do away with the stigmatization of alcoholism,” said Professor Heilig.